Barbara Perry Lawton has skillfully combined her love of gardening, knowledge of plants, and writing expertise to compile the first ever review of the mint family ... Amateurs and professionals alike will benefit from acquiring this thorough treatment of the mint family, which is sure to prove popular with the gardener in all of us. Discover how fresh herbs can breathe new life into your home, health and garden with the queen of herbs, Jekka McVicar. Learn how to propagate, raise and maintain herbs the organic way. Cook up simple, delicious recipes using fresh herbs that boost flavour and your health. Discover the many domestic uses for herbs - from first aid kits to natural air fresheners. A tasty treat - savour it! Herbs are the instant gratification project of the gardening world, and people love to grow them. This friendly guide to homegrown herbs is perfect for beginners, featuring plans for simple garden projects ranging from outdoor garden beds to window boxes and container gardens. Growing instructions for over 30 herbs are rounded out with ideas for garden planning and maintenance. Tips on harvesting and cooking with nature's bounty make this charming volume as useful in the kitchen as it is in the garden. 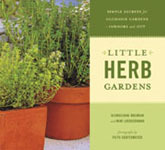 With colorful photographs and warm and informative text, Little Herb Gardens is inviting to gardeners, cooks, and herb novices alike. Now in paperback, Herbs in Bloom is a delightful A-Z selection of 80 favorite groups of flowering herbs. Full of detailed information on how to grow each herb from seed or cuttings, the book offers systematic advice on site selection, soils, transplanting, and other practical concerns. Over 700 herbs are included in all. 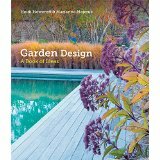 In the author's words, "It is my aim to convince fellow gardeners that herbs also have beautiful flowers and can be used to advantage anywhere in the landscape." This information-packed reference contains everything a gardener needs to know to produce bumper crops of succulent tomatoes, spicy peppers, melt-in-your-mouth lettuce, and fragrant, flavorful herbs. Whether you are a first-time gardener or a seasoned expert, you will find clear, knowledgeable answers to all your vegetable- and herb-growing questions. Over 280 full-color photographs and 30 line drawings make this essential reference as beautiful as it is useful. Easy-reference charts put a wealth of information at your fingertips, including the amount of water each crop requires for best growth, application rates of common organic fertilizers, and first-and-last frost dates for locations across the country.